Boys at the age of 13 will want to start acting like teenagers and will show noticeable changes in behavior and also in the physical aspect. They will want to dress differently, keep up with the trends and be treated differently. They will become cautious of their surroundings and want to be like or better than their peers. Some of their toys will even seem childish to them, and they will want to upgrade to more grown-up-ish toys, and you don’t need to worry because we are here to help. There are so many toys in the market we have compiled a list of the best toys to get your adolescent son to make it easy for you. Why we like it: The scooter can be easily folded making it easy to carry around and store. 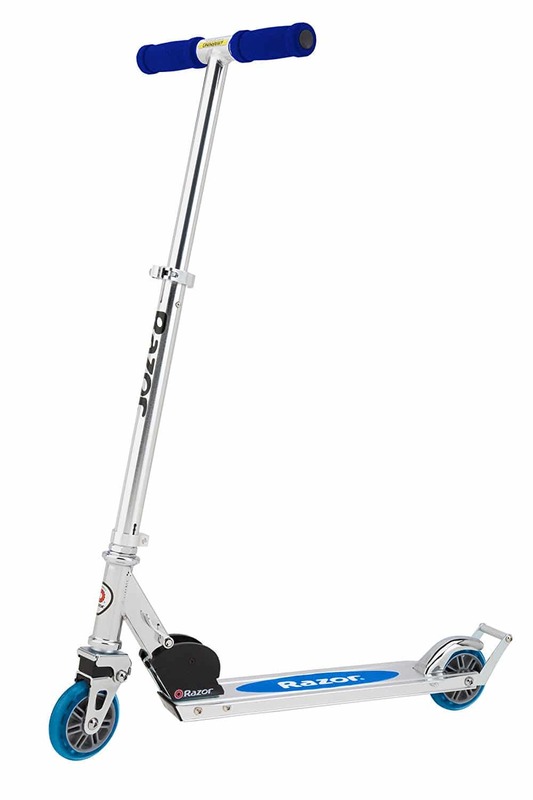 Brighten your son’s day with this beautiful Razor A2 Scooter. He can ride it for fun, to school or on errands to save up time. It is made from sturdy material, and your son will use it for a long time, and the handlebar can be adjusted to fit your son’s height perfectly. It also has a springless front wheel shock system to ensure a smooth ride on bumpy pavements. The scooter is foldable making it easy for your son to carry in his bag and also allowing for convenient storage. It comes already assembled and ready to ride. Your son will be able to exercise outdoors and stretch his muscles as he rides thus allowing him to keep fit and healthy. It might be difficult for your son to fold and unfold the scooter. Why we like it: You can connect the drone with your phone to view what is taking place directly from your phone. This drone will make your son have an unforgettable outdoor adventure. It is beginner-friendly, and your son will not have trouble using it for the first time as he only needs to master the controls. Your son can connect the drone with his phone using a downloadable app so he can watch directly what the drone is capturing from the air. 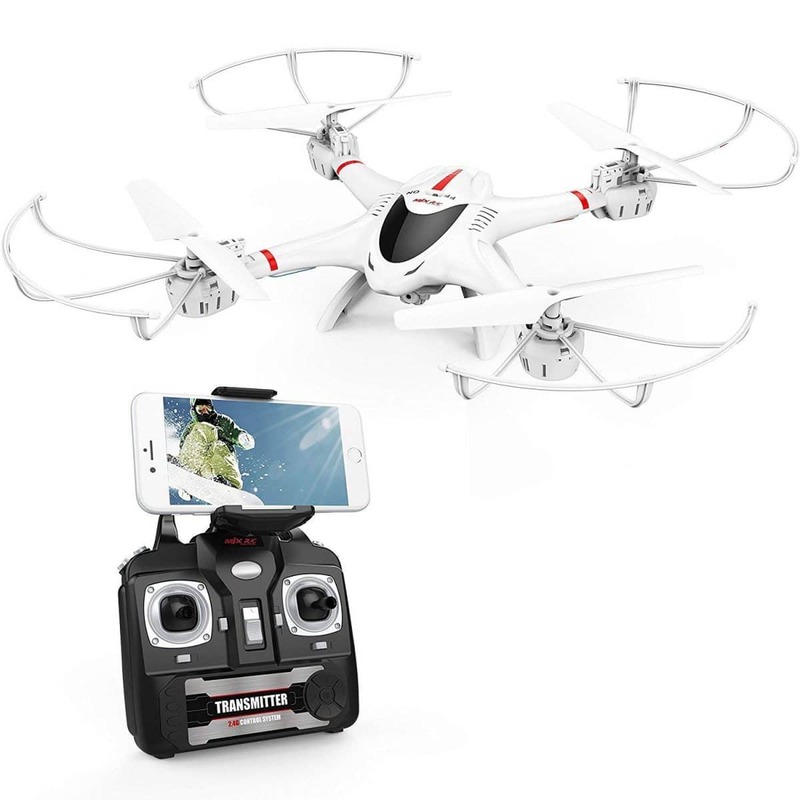 It has multiple speed options, and it has a headless mode feature which controls the drone and one key return which enables the drone to fly back towards the direction of the transmitter automatically. The drone is also highly responsive, and your son will learn about coordination, and it will promote fine motor skills when he uses the controls. The quality of images captures may vary depending on the type of phone you use. Why we like it: The mini bike is easy to operate, and it can be ridden comfortably on rugged terrain. 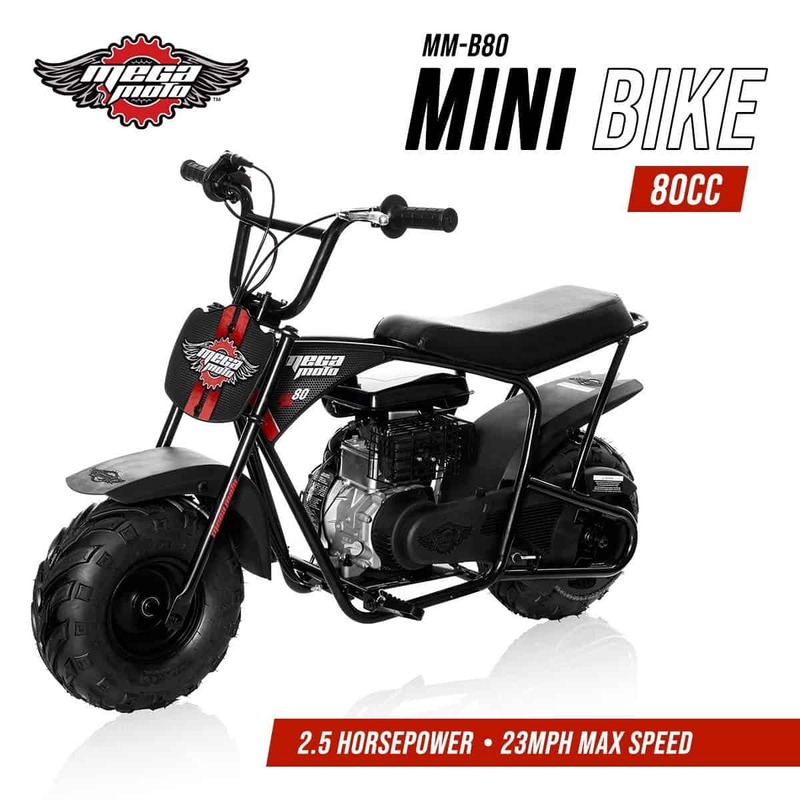 Bring out the badass in your son with this Monster Moto mini bike. It has a large sit for your son to sit comfortably and an automatic clutch which makes it easy to operate. The tires have super grips to ensure your son has a smooth and comfortable ride on rugged terrain. The mini bike is high quality and durable, and it is easy to assemble with easy-to-follow instructions. The bike is safe for your son to ride as it has an exhaust heat shield to prevent your son from accidentally burning his leg and it also has a reliable braking system. It will keep your son active and develop gross motor skills. It is quite pricey, but the price is worth the product. 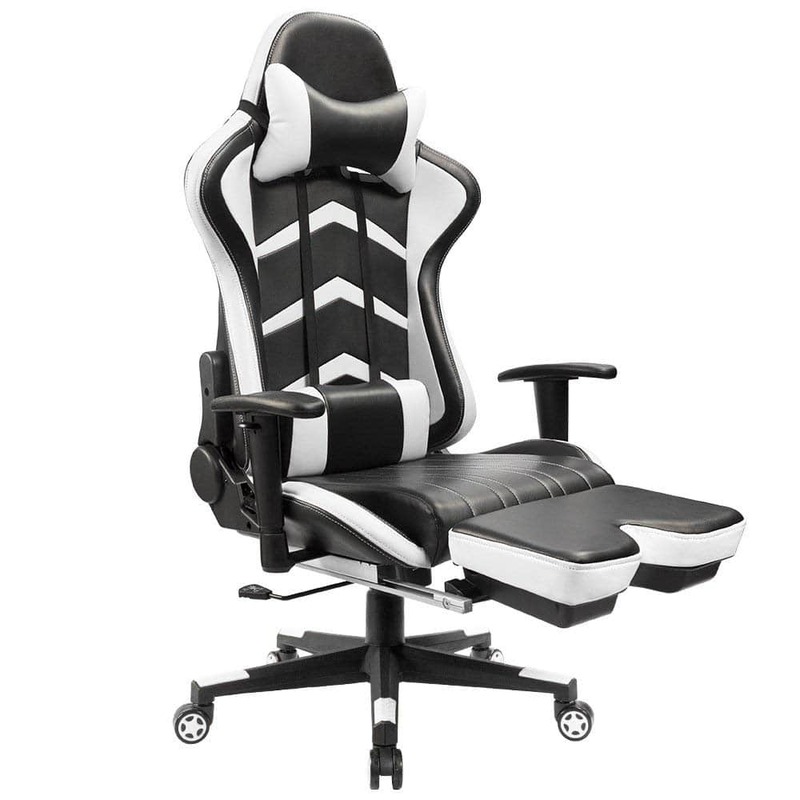 Why we like it: The chair has many adjustable features making it convenient for all gamers. Gaming time will become even more fun for your son when you get him this gaming chair. The seat has high padding to provide your son with maximum comfort during gaming, and the high-quality leather ensures the comfort remains despite being sat on every day. The chair swivels all the way around for added convenience. It has an adjustable height to suit your, and the backrest can also be tilted when your son wants to have a nap. It is equipped with a pullout footrest for your young gamer to relax, and the wheels allow your son to move back and forth within the gaming room. It also has removable armrests to suit your son’s preference. The chair will enable your son to enjoy his gaming time and even become a better gamer. It may encourage laziness from your son. Why we like it: The app for controlling the robot is compatible with both Android phones and iPhones. Your son is going to love playing with a small robot. It is compatible with both android and apple mobile devices, and it can be controlled easily through a downloadable app making it easily accessible. It is also rechargeable and provides your son with one hour of uninterrupted play on a full charge. The robot allows your son to adjust its speed and acceleration using his phone or tablet and it is designed to work even of the toughest terrain. It can perform several tricks and stunts making it a fun toy to play with all the time. It is very sturdy, and your son will play with it for a long time. 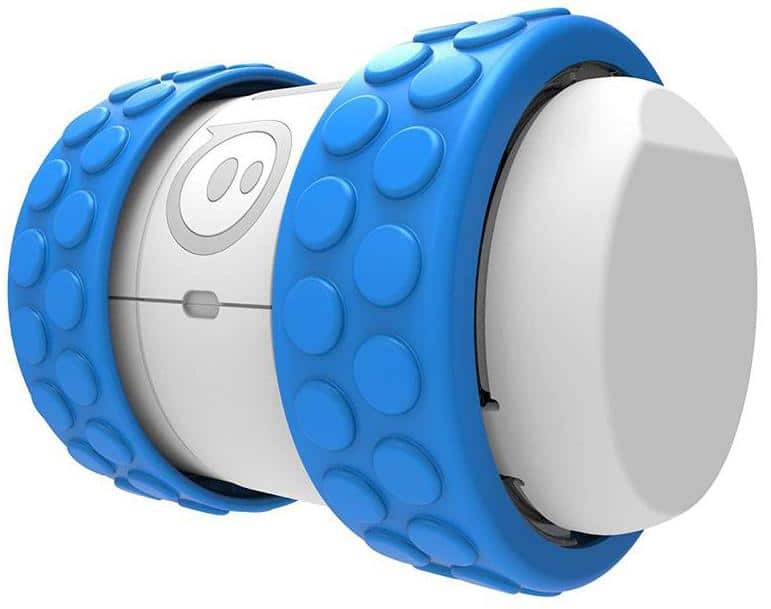 The robot will encourage your so to be active and will help develop his interest in electronics and technology. Why we like it: The game can be played on most reachable surfaces, and the foam cushion at the bottom protects surfaces from getting scratch markings. This is a good way for you to spend time and bond with your son. 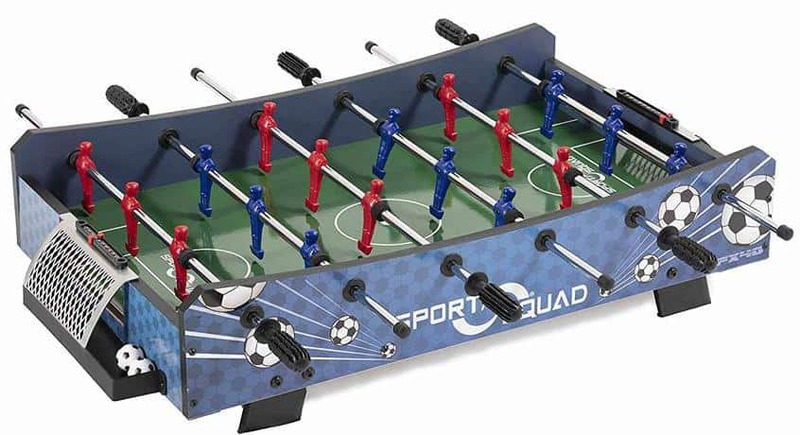 The foosball table is fairly light, and your son can take the fun to his friend’s parties. It can be placed on any table, and it is equipped with a foam cushion at the bottom to protect your table from any markings. The handles are comfortable to hold, and the sturdy rods add life to the game. The size of the foosball table allows it to be stored conveniently without taking much space. The game will help promote good sportsmanship and encourage quick thinking as well as boost his concentration skills. It requires more than one person in order to play. Why we like it: The shape-shifting cubed can shift into 200 shapes providing unlimited opportunities for your son. This is the right gift for any parent who wants to challenge their kids in a fun way. Your son will race against time to create what has been provided in the challenge card for the round, either by himself or with his friends. The challenge cards come in 100 pieces with each side of the piece containing a challenge. 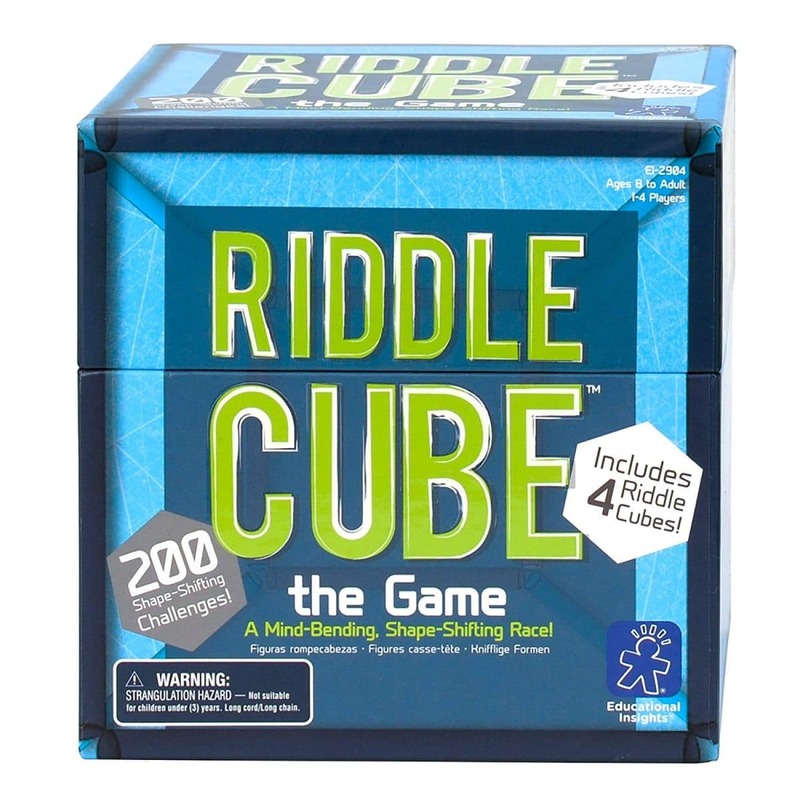 The game also includes four sturdy riddle cubes which can change shape and allows for four or fewer players, a sand timer, and easy-to-follow instructions. This is a good way to keep your son’s mind engaged by encouraging problem-solving skills and quick thinking. It also promotes good sportsmanship in your son. Your son might get frustrated with the game if he is not patient. Why we like it: The guitar is easy to use for beginners, and it produces good quality sound. This is the perfect guitar for anyone who wants to learn to play the guitar. It is very beginner-friendly, and your son will enjoy playing it from the start. The guitar has a smooth finish making it comfortable to the arms and the strings are high quality to prevent them from snapping. The guitar produces a beautiful sound and will make your son feel like a pro in no time. 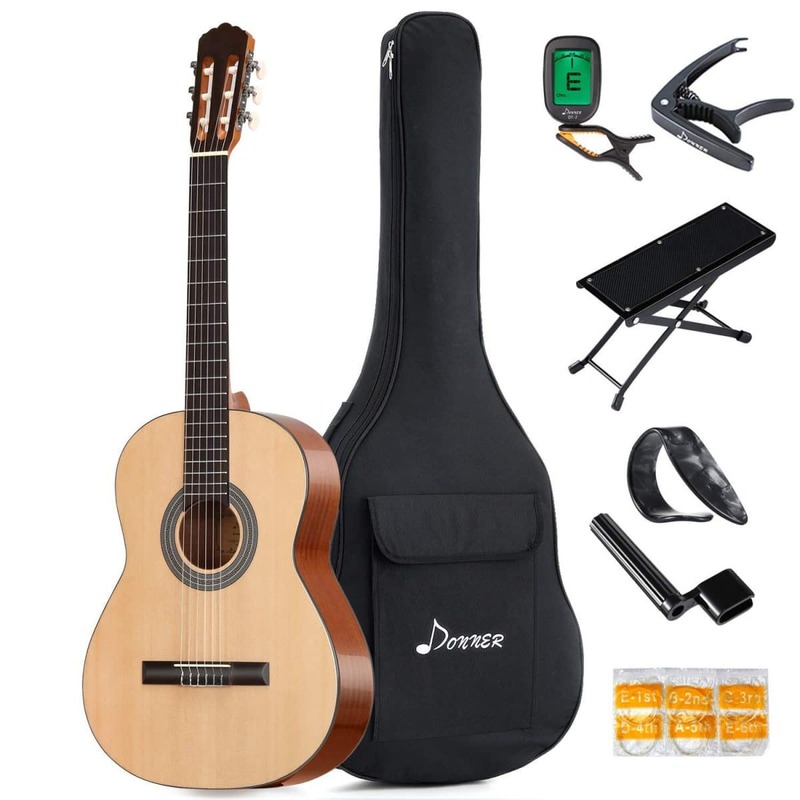 It comes with all the accessories your son will need to have a successful session including a bag, guitar straps, extra strings, polishing cloth, and more. Your son will develop an interest in music, and he will quickly learn to play the guitar, and strumming the guitar will encourage fine motor skills and improve his concentration. Unlike the famous more expensive guitars, the sound it produces is not as great compared to them. Why we like it: The iPad looks good, it’s affordable, and good quality. Make your son’s world brighter by getting him this iPad. We live in an era where technology is the order of the day, and your son will be able to keep up with the world. It is has a camera and is spacious enough for your son store his music, photos, and videos comfortably. The iPad is light to hold, and it will fit your son’s hands comfortably, and it is big enough to view what is being displayed on the screen without straining. 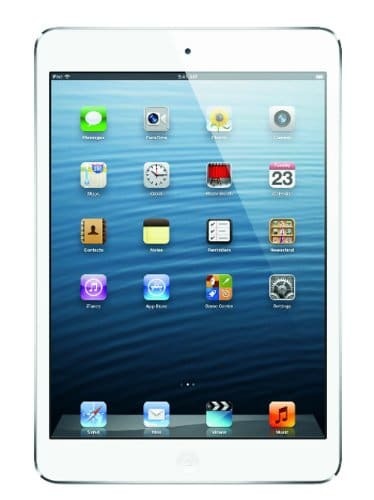 The iPad is great for obtaining information from the internet, and your son can use it for learning. It will also help your son to become creative by getting ideas online and make new friends he can share ideas with. Why we like it: This LEGO set is compatible with other LEGO sets to encourage creativity, and the pieces are rather sturdy. 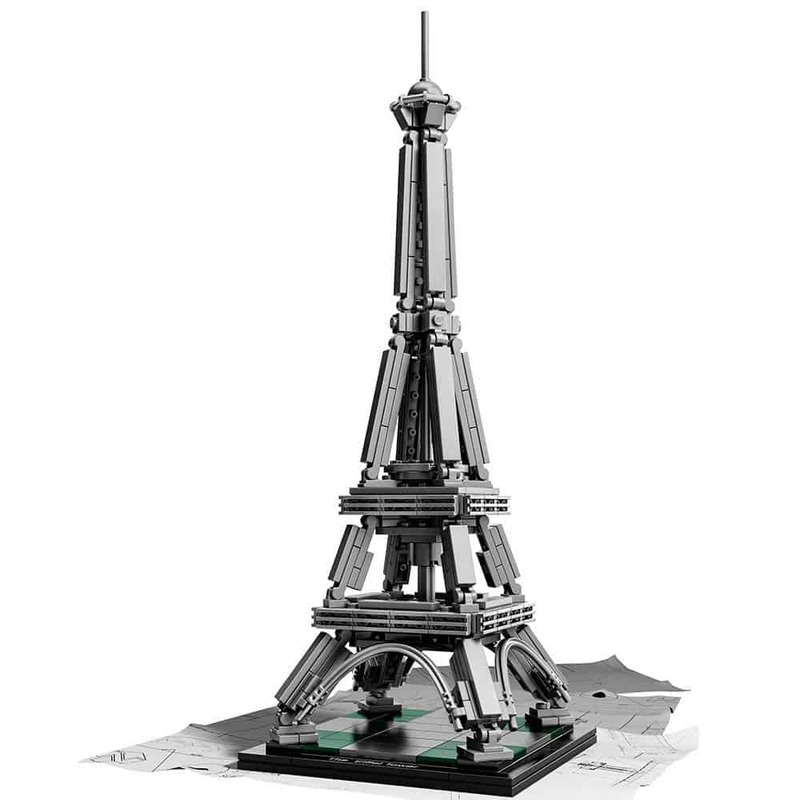 Bring the Eiffel Tower close to your son by getting him this LEGO architecture building set. Your son will be able to build a realistic model of the famous tower and learn about its history which is included in the informational booklet provided. The building set is compatible with other LEGO building sets to bring out your son’s creativity. The pieces are sturdy, and your son will build and dismantle the tower for as long as he wants. Building the tower will promote fine motor skills and improve his concentration. It will also improve his hand-eye coordination and encourage him to be creative. It might be a bit challenging for your son to put together. 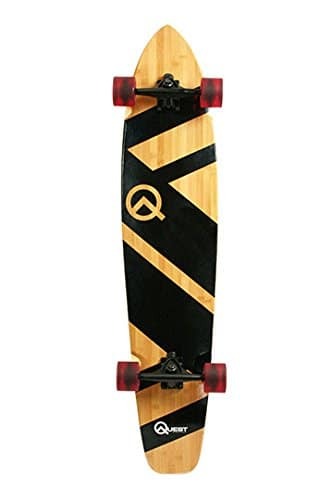 Why we like it: The board is exceptionally sturdy and great for beginners, and the soft but firm tires ensure a smooth ride on paved surfaces. This is an ideal gift for anyone who likes to skateboard. It is made of bamboo and maple and has a unique appearance. Your son can ride it to school or the store as it will save him a lot of time. It is long to allow your son to ride on it steadily and comfortably and the wheels are soft but durable to ensure he has a smooth ride. It is beginner-friendly and is designed to allow your son to easily perform tricks and stunts without needing to be a pro. It is a great way for your son to keep fit and also learn to balance. It is also a good source of endurance and stress relief. Your son might fall a few times before he learns how to balance. 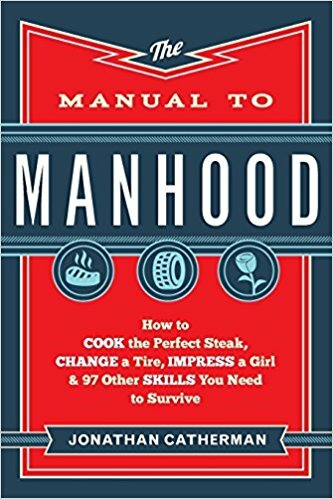 Why we like it: The manual contains all the basics that a young man needs to know in order to survive out there alone. This is the age where your son is starting to notice girls and feel like a grown-up, and he would appreciate some help dealing with that situation. This manual comes in handy at this moment since it will guide him on what he should do to adapt to the world of grown-ups. It contains many survival skills which your son would otherwise fear to ask from the people around him. Your son will be able to learn what a young man needs to do in order to survive in the society especially when he moves out of his parents’ house thus making his life less stressful and more manageable. It will also help him learn to be a responsible man. It might still not answer all your son’s questions. Why we like it: The set is good for keeping your son’s good hygiene, and it is good for the skin. This set contains all the items your son will need to turn heads around. 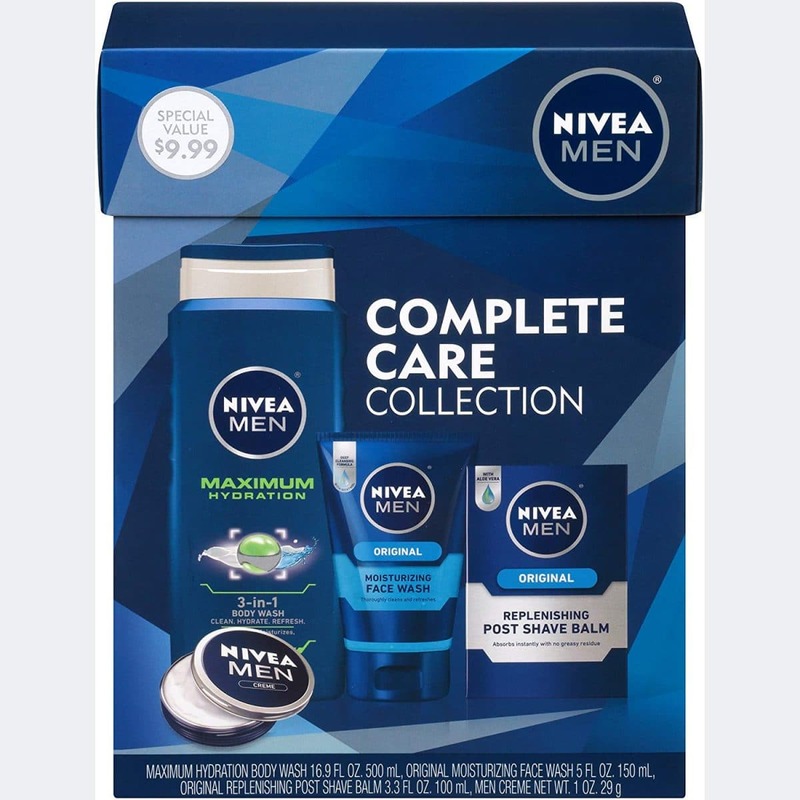 He is at a point of puberty, and this good quality Nivea care collection will help him stay hygienic and smell fresh and good since the products retain their good smell even after use. The set includes a body wash, face wash, multipurpose cream, and post-shaving balm. It will help reduce and prevent acne by getting rid of dirt and excess oils and also keep his skin hydrated. This is a good way of showing your son that he has become a grown-up and he should start taking care of himself. This set will increase your son’s confidence and make him ready to face the world. Why we like it: The heavy bag is very resistant and will not wear down when punched over a long period. Allow your son to learn to defend himself and become a good sportsman at an early age. The heavy bag comes ready to use, and it contains a mixture of sifted sand and natural and synthetic fibers. 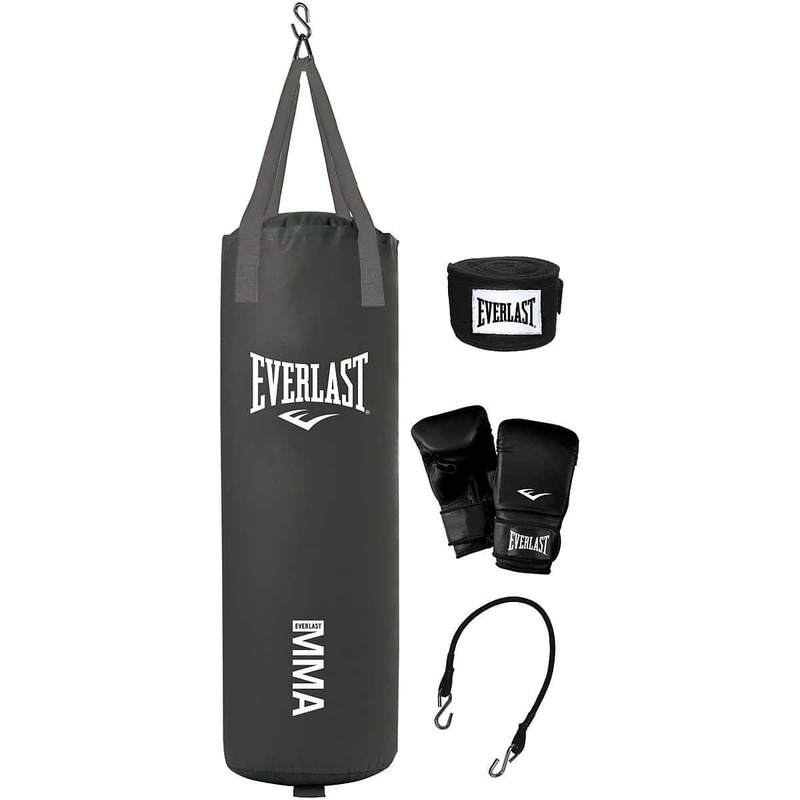 The heavy bag comes with heavy bag gloves, and hand wraps to protect your son’s hands from getting bruised and a durable cord to hold the bag in place when it is hit. The chain is also customizable and allows your son to adjust the height of the bag to suit him. The kit lets your son burn calories and keep fit. It is also a good way for him to relieve stress and build his confidence. It’s challenging to set up the bag. Why we like it: The headphones are of good quality, and they produce good quality sound. These are classy one of kind headphones that will make your son stand out from the crowd. It is very eye-catching with its sleek design and is it light and very comfortable to wear so your son won’t grow tired of wearing it. The headphones are wired, and he can listen to songs from his phone, tablet, or iPod. 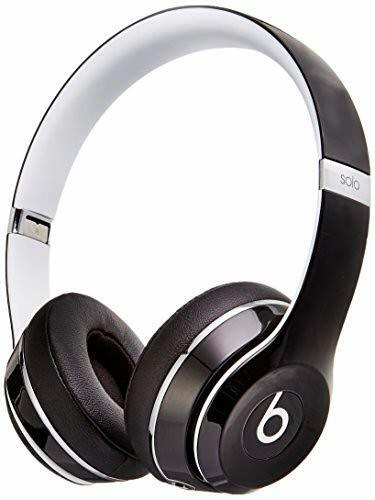 They produce excellent sound, and bass and your son will never want to take them off. The headphones do not entirely cancel all the noise, so your son will know what is going on around him. The headphones come in a padded case, and they can be folded easily to fit in it. It will enable your son to concentrate on the music playing and allow him to have self-reflection without interruption. Why we like it: The backpack is of great quality and is waterproof to keep things inside dry. 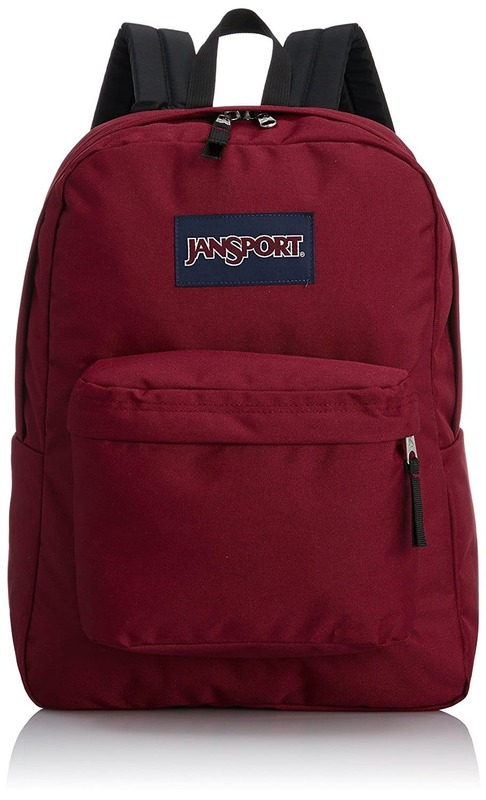 This bag is great for your son’s daily commute either to school or during travel. It is made from durable fabric, and the bag will grow with your son. It has one roomy compartment where your son can store most of his belongings and a smaller front pocket for storing smaller items. It is water resistant and will keep everything stored inside dry even when your son walks in the rain. The bag is extremely light and comfortable to carry, and it comes in several colors allowing you to choose your son’s favorite. This bag will increase your son’s confidence and help him stay organized. Why we like it: The watch is very sturdy and cannot break when it falls, and it is also water resistant. This is a badass sports watch that will make your son feel like a grown man. It is water resistant, so your son can swim with it, and it won’t get ruined if he accidentally spills water on it. 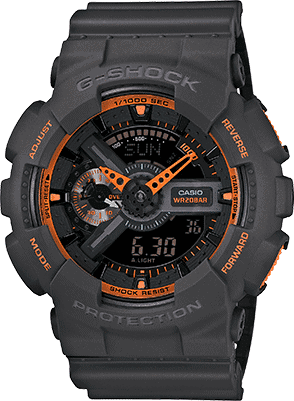 The watch is shock resistant, and it has several features including a timer and a stopwatch. It has a thick case to withstand falls, and it is durable so your son will wear it as he grows. The color-combination is catchy to the eye, and the watch is light and comfortable to wear. It is easy to operate, and your son won’t have trouble using it. The watch will encourage your son to be time conscious and also boost his confidence. The watch is hard to read in the dark. Why we like it: The toothbrush has soft bristles which are gentle to the gum and braces, and it has a long battery life. Your son needs to keep his teeth healthy, and this electric toothbrush will help keep his oral hygiene in check. The toothbrush is rechargeable, and your son can use it for up to two weeks on a single charge. It has soft bristles so it won’t hurt your son’s gums and it can be used on veneers, braces and sensitive teeth. 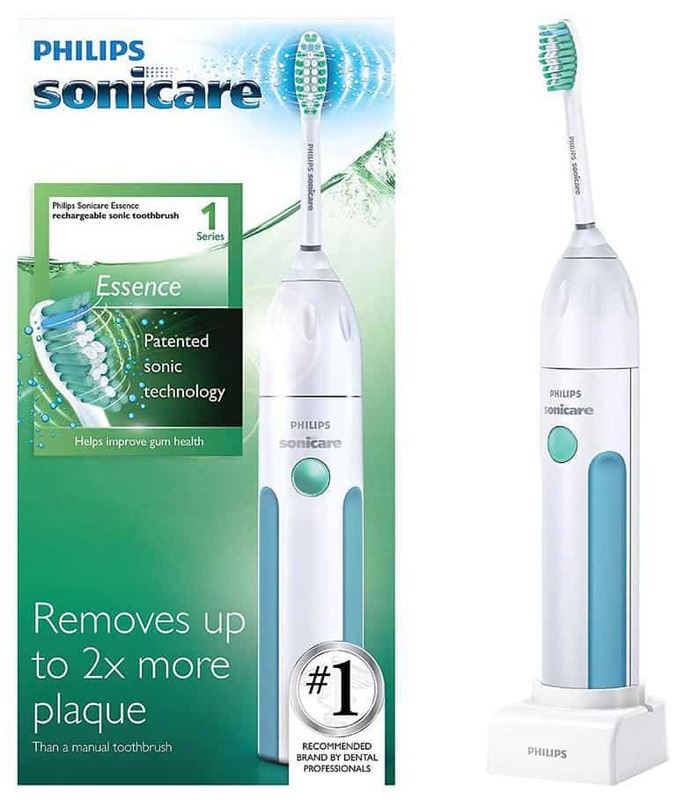 The handle is soft and comfortable to the hand, and it has a timer that switches off the toothbrush after the recommended two minutes of brushing teeth. The brush comes with its charger and a travel case so your son can store it conveniently and in a sanitary condition while traveling. It encourages your son to maintain good oral hygiene thus preventing dental problems. Why we like it: The camera works well underwater, and it is very sturdy. This camera has been designed to be handled by kids. It is easy to use, and it allows your son to take pictures and record videos, and he can preview the pictures and videos and delete them just like an adult’s camera. It has an inbuilt microphone to allow your son to record sounds and it captures good quality pictures. The batteries have a long life, and the camera is quite sturdy and can withstand constant abuse, drops, and bumps. 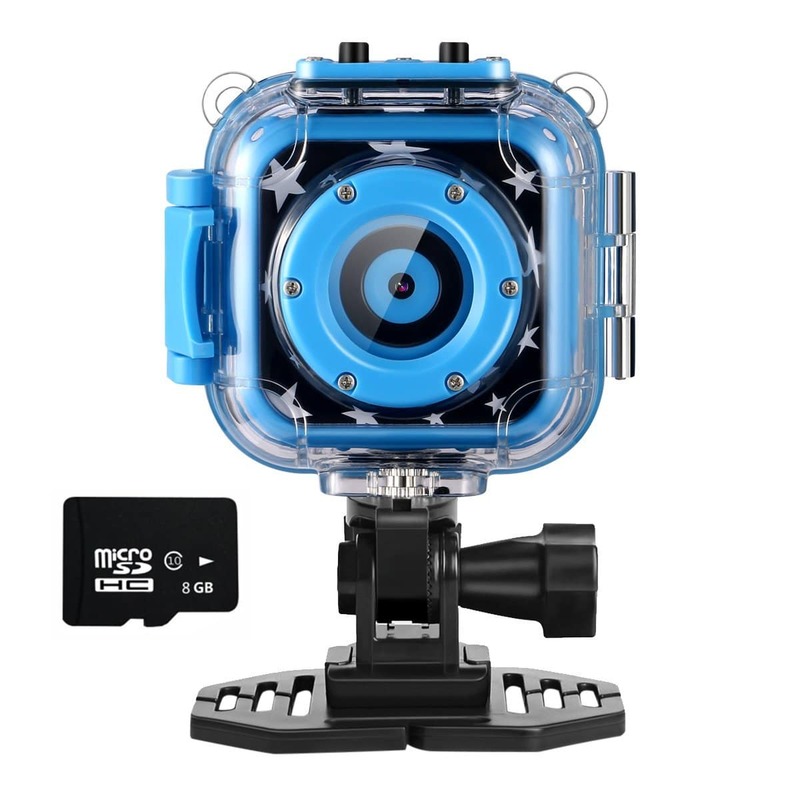 The camera is waterproof making it possible for your son to record himself in the pool or any other water body and the neck strap makes it easy to carry around without dropping it. Your son will explore his creativity, and it will help develop his interest in photography which he might pursue as a career. Why we like it: The flashlight is water resistant and is designed to last, and it produces super bright light. Make your son’s camping and hiking experience one he can remember with this flashlight. 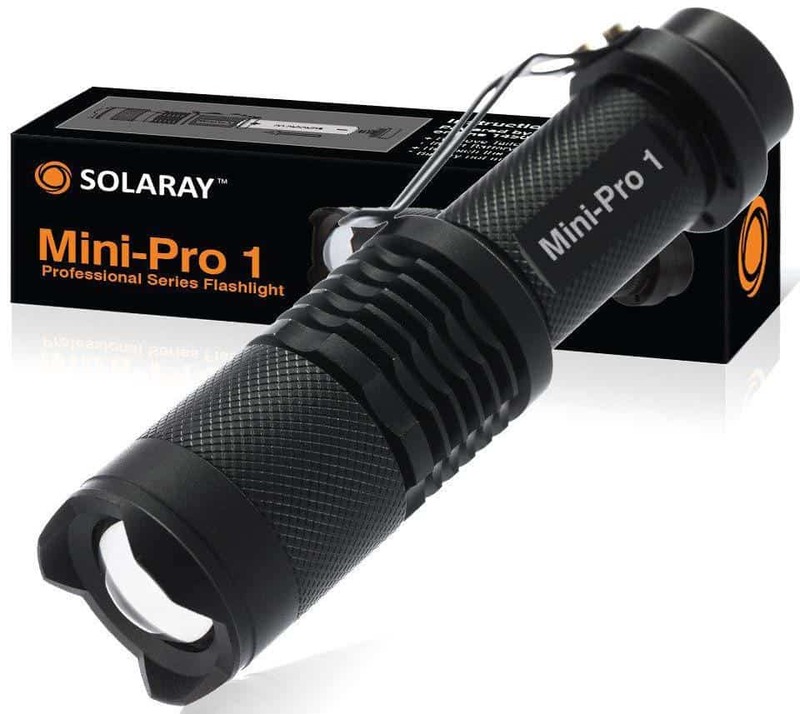 The flashlight is resistant to water and can be used in the rain or underwater. It has a zoom feature so your son can shine the light over a short or long distance depending on where he is, and it produces super bright light to make even the darkest nights as clear as day. The camera is sturdy and can withstand being dropped accidentally and is small and rugged to make it easy to hold. The flashlight also comes with a smaller flashlight, and it will drive your son to be more adventurous and boost his confidence. It might be difficult for your son to use the zoom feature. Why we like it: The kit allows your son to build working electronic models and encourages him to use his mind. 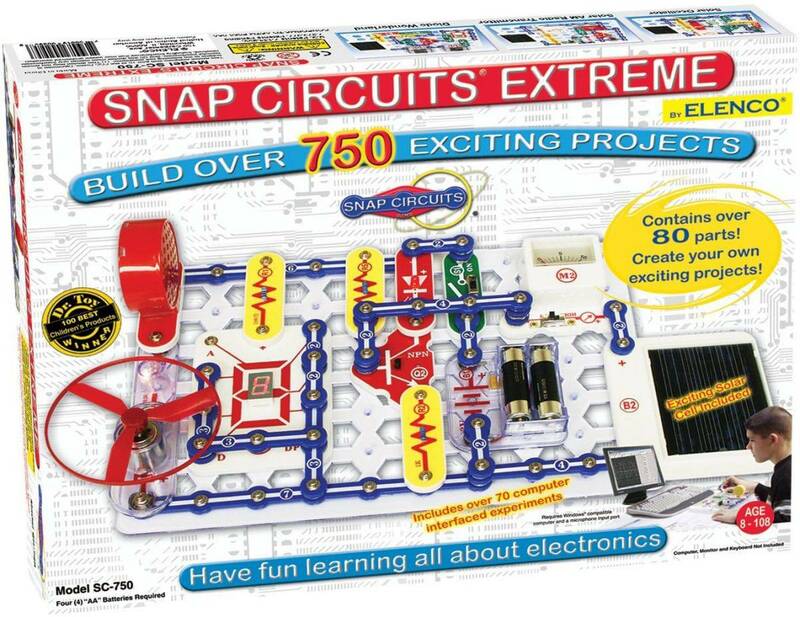 This kit is a great gift for kids interested in electronics. The parts only need to be snapped together saving you the trouble of getting other tools for connecting them. The kit allows your son to do unlimited projects which include building a working burglar alarm, a lie detector, a radio, and many more. It consists of a set of easy-to-follow instructions, and your son will be able to learn to build by starting with simple tasks contained in the manual and later progressing to more complex ones. He can also begin to build his electronics when he finishes the tasks in the manual or when he is confident that he can build on his own and this will spark his imagination and creativity. The kit is STEM approved. Why we like it: The shoes are made from good quality materials and are super comfortable and light to the feet. Every boy loves Nike sneakers, and your son will never stop smiling when you get him a pair. 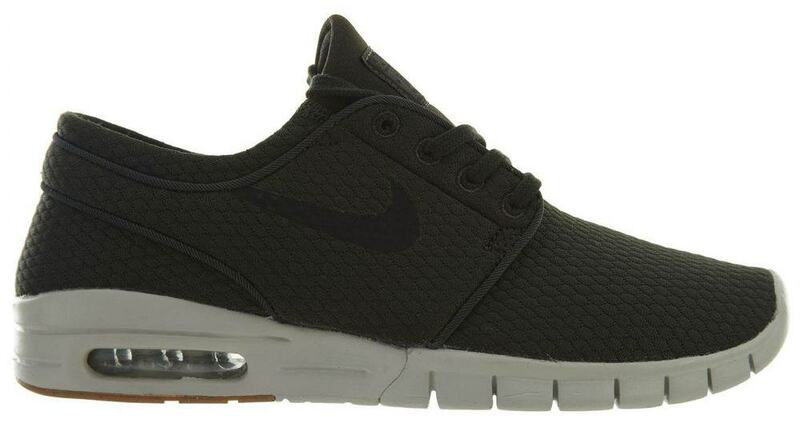 The sneakers are known for their high quality and durability, and they are very comfortable to wear. They have rubber soles making the shoes light to the feet and ideal for walking and sporting activities. These sneakers will not only make your son’s feet comfortable but also make him feel good about himself, and a confident boy can do a lot of great things. They come in different colors allowing you to choose your son’s favorite. The sneakers will develop good sportsmanship in your son as he will be able to run around with ease. They fit slightly larger, so you need to get a half a size smaller to fit your son perfectly. Why we like it: The set builds a very detailed structure which does not come apart easily after it is completed. 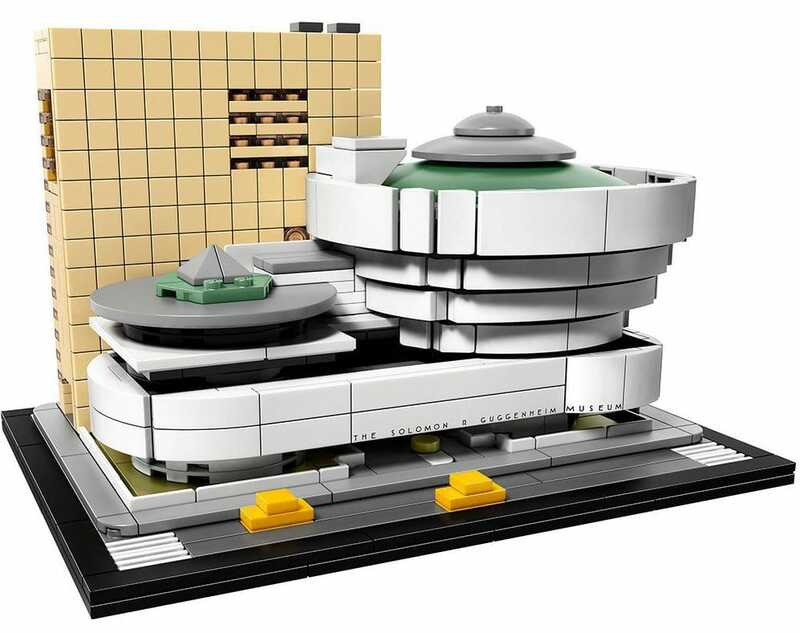 LEGO building sets never disappoint, and this kit is one of them. The building kit allows your son to build a model of the famous New York museum. It includes an instructional booklet which also contains the description and history of the history of the museum. The pieces will enable your son to build a very detailed structure, and there are extra two yellow cabs on the driveway. The kit requires multiple assemblies to challenge your son, and he will use his concentration to complete it. The completed structure is very sturdy and will make a great exhibition on your son’s shelf. Building the museum will improve your son’s hand dexterity and hand-eye coordination, and it encourages fine motor skills. It also develops his interest in construction and architecture. Compatible with other LEGO building sets. It takes time to build the complete structure. Why we like it: The game does not require one to have any talent, and it can be played by kids and adults. This game is guaranteed to add fun and life to the party. It can be played by anyone, and one doesn’t have to be Beyonce to win as long as he knows the lyrics. 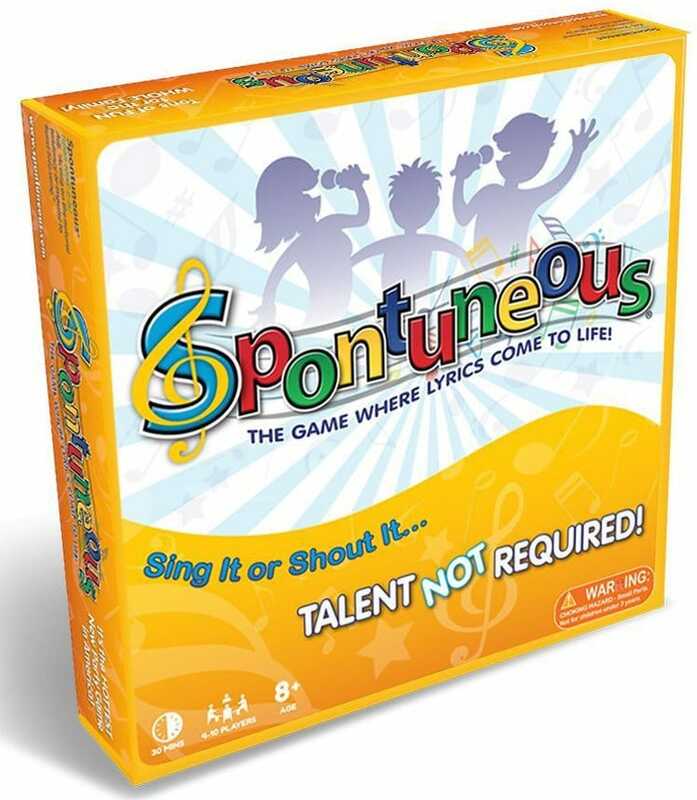 It is a great way to bond with your son during the family game night and maybe even discover talents about each other. The game has simple rules and is super easy to play and requires 4 to 10 players preferably playing in teams. It helps promote teamwork when players work together to sing a song containing the trigger word. The game also encourages creativity, problem-solving skills, and quick thinking. It might not be a fun game for shy people. Why we like it: The book presents information in a fun way and is a good source of learning for your son. This book contains all spectacular photographs and mind-blowing facts that will stretch your son’s imagination to great heights. It provides information about what people have achieved and events that have occurred even when they seem impossible. 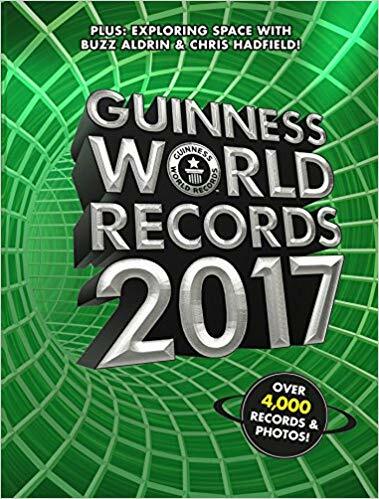 It contains challenges which your son can try at home to try and beat the record holder and become the world record holder! Your son will learn about new facts in a fun way because of the way the book presents these facts. The book will encourage your son to become daring by trying the challenges in the book and also acquire new and useful information. This will, in turn, boost his confidence and creativity and also improves his reading skills. Why we like it: You can use the game to bond with your son as it can be played by both kids and adults. 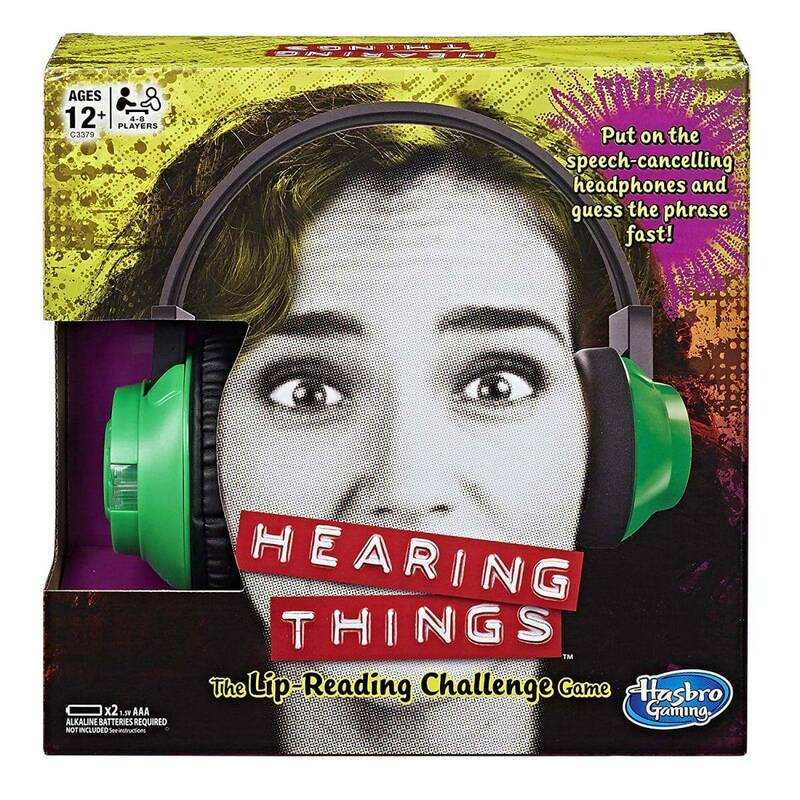 This is another great game for parties and family game night. It involves one player wearing headphones which will prevent him from hearing anything while the other player whispers a phrase which the teammate should figure out within one minute. The game is a great source of laughter as it contains funny phrases and wrong guesses. It includes 150 cards which have 600 phrases to ensure the players never run out of phrases and this prevents the game from becoming boring. It is easy to play and has simple rules. The game encourages teamwork when players work together to win, and it promotes problem-solving abilities. It will also improve his lip-reading skills. The sounds produced by the headphones may affect hearing for some time. Why we like it: It has cool LED lights to add life to the game, and it also produces good quality sound. 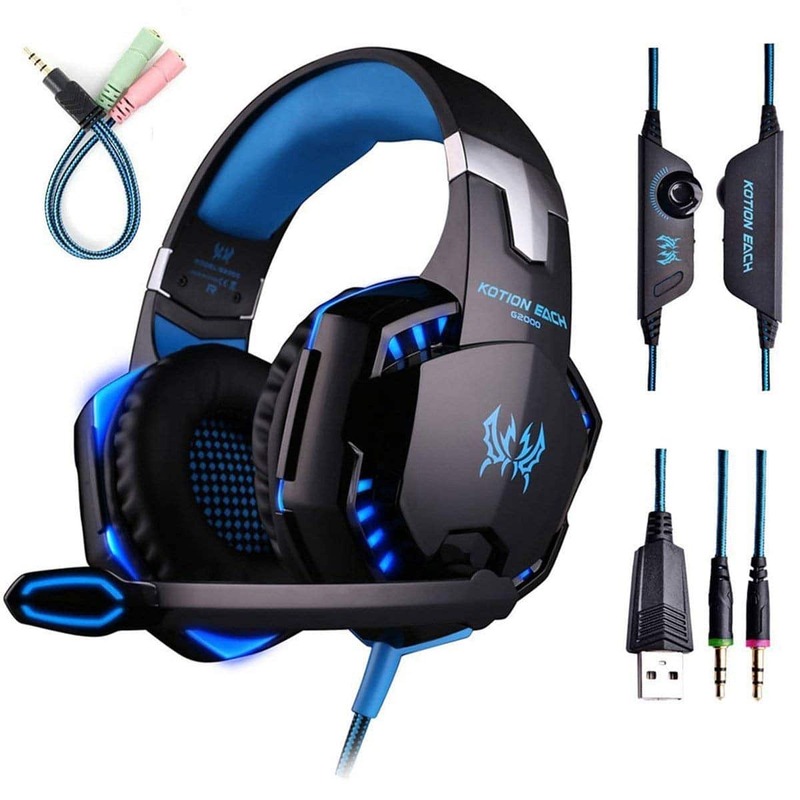 Your son’s gaming time it will be made even better with this gaming headset. It cuts all noise from outside allowing your son to focus on his gaming activity, and it also produces high-quality sound to enable your son to hear clearly what the opponent is saying. It is high quality, and the soft pads make it comfortable to wear on the head and around the ears. The earmuffs are made from good quality skin friendly leather. The headset is compatible with most gaming devices such as laptops, smartphones, PS4s Xbox, and more and the LED lights on the ear cups and microphone add more fun to the game. It will improve your son’s gaming experience and add to his confidence. The microphone is designed to only stay on the left side of the head. Why we like it: The brackets are padded to protect your door from getting scratch markings. This is a good way of getting your son to keep his room tidy while having fun. The basketball hoop fits on any door making it convenient for all parents and their kids. The metal brackets for hanging the backboard on the door are padded to protect your door from scratches and markings. It is good quality and super easy to set up and the only assembly needed is to attach the rim to the backboard. Your son will dunk all his dirty clothes inside the net which he will empty into the laundry basket when it becomes full thus saving you a lot of time and effort and allowing you to focus on other chores. The hoop will encourage your son to remain tidy, neat and accommodating. It might be difficult for big and heavy clothes to pass through the rim. Why we like it: It is a good kit for developing your son’s interest in artistry. 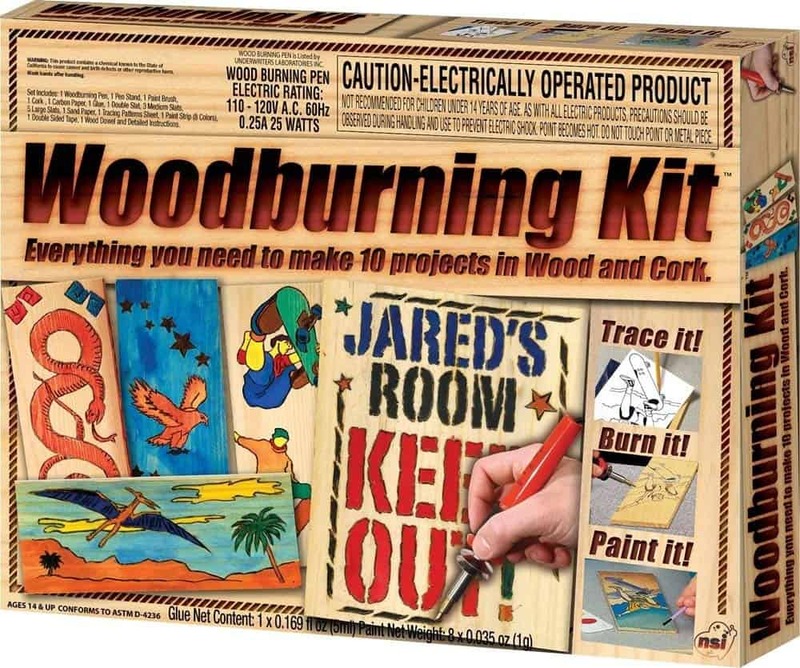 This kit allows your son to be creative and make his own designs on the wood using the wood burning pen. The wood burning pen needs to be plugged into the socket for it to work and your son can burn designs on leather, wood, and cork-board. The pen also heats up quickly so your son can get straight to work. The kit is a great way to keep your son occupied especially during cold and rainy days and burning the wood and leather will provide him with a lot of satisfaction and happiness. It will develop and improve your son’s artistic skills especially ones that require the use of hands. It also promotes hand-eye coordination and hand dexterity. The pen heats up quickly. Why we like it: The arrows are big, but light and they shoot over a long distance and with high speed. Bring out the archer in your son with this Marky Sparky Faux Bow Pro. The arrows are big, but light and they shoot over 200 feet at high speed. The bow is realistic, and it is made of high quality and durable material to prevent it from snapping when in use. The arrows have foam tips which bounce back when they hit surfaces and also make them safe to use. 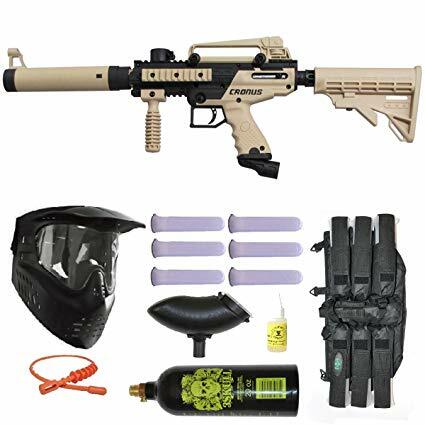 This kit is great for outdoor play, and it will make your son stand out from his playmates and win friendly wars. Your son will be exercising through play while also learning archery thus encouraging good sportsmanship. The arrows will eventually wear out, and you will need to get them replaced. The toys are many, and each has its function and benefit to your son. Some are educational, some for exercise, and some are just for pure fun. You will need to get a toy for your son based on his interest and preferences. You also have to consider whether the price is within your reach and if not, you may go for cheaper toys although we cannot guarantee you of their quality. Both way, your son will appreciate this wonderful gesture, and it will strengthen the bond between you and him.